From the filmmakers who produced breakthrough thrilling films such as “Crank,” “Ghost Rider: Spirit of Vengeance” and “Million Dollar Baby” comes “The Vatican Tapes” – a modern film about a woman consumed by the anti-Christ. Starring Olivia Taylor Dudley, Academy Award nominee Djimon Hounsou, Michael Peña and Dougray Scott, “The Vatican Tapes” reveals the story of a young ordinary girl Angela (Dudley) as she descends into a series of disturbing events but that which none can figure out the cause. As the events escalate into a terrifying discovery, they soon find out that Angela’s body has been possessed by a demonic force. “The Vatican Tapes’” director, Mark Neveldine, having gone to Catholic school, had a personal grasp on the world of The Vatican Tapes, and after discussing the project with producers, Tom Rosenberg and Gary Lucchesi, he jumped aboard the project. “I’ve always wanted to do a possession film. Something supernatural, but grounded in reality,” says Neveldine. Neveldine collaborated with Lakeshore on the script, focusing on how to balance fantastical elements and reality. They found that equilibrium by developing the main female protagonist, Angela, and her relationship with her father. “Angela is the everyday girl that we all know. 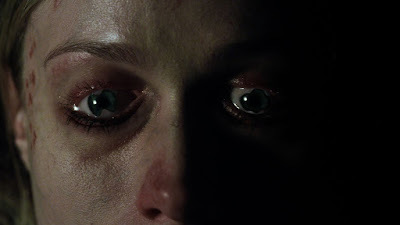 While she hasn’t done anything wrong, this possession befell her and as we follow her chilling journey, we are rooting for her to overcome the devil,” explains screenwriter Christopher Borrelli. “I read the script and it actually gave me a nightmare, which never happens,” recalls Taylor Dudley. “I read the screenplay at night and the very next day I called up my agents and told them I needed to be a part of this film. It affected me and made me feel something.” The character Angela begins as a normal, healthy girl, but as the story progresses, she spirals into a possessed and demonic state, requiring Taylor Dudley to challenge herself emotionally and physically. “The exorcism took us six days to shoot and it was twenty-two pages. It was so physically demanding, especially being chained to the wall screaming. It was exhausting,” explains Taylor Dudley. “The Vatican Tapes” opens August 19 in theatres nationwide from Pioneer Films.